A few items that caught my eye this week. STORIES IN FAITH COMMUNITIES: An essay (with lots of video examples) on "The Power of Story to Trouble the Waters and Heal the World," by filmmaker and media strategist Macky Alston, the director of Auburn Media, an organization that provides media expertise to religious leaders, and religious expertise to the media. Macky gives examples of digital (online video) storytelling that have been used in social action campaigns, and says that religious leaders can harness this force to great effect in their own work. "When you preach a story from your pulpit, how many people are tuning in? When you teach in your Torah study or Sunday school, how many people are listening? The smallest number of viewers of the videos you just watched exceeds the population of Baltimore." One of the most significant attributes of online stories, says Macky, is that they can be easily aggregated and shared. You can gather stories on a particular theme from hundreds or thousands of people -- and cites examples such as online databases of stories about South Asian immigrants to the U.S., Holocaust survivors, or patients with life-changing conditions -- I was particularly interested in that last one, which seems to have rich applications for patients and medical researchers alike. He concludes by saying that "Faith groups ... are groups of social actors organized around a sacred story that commits us at least in word to making the world just. Given that faith communities have succeeded throughout history to galvanize humans though story, we now must harness its power in new ways to organize this generation for justice." THE DRAMA OF READING: A New York Times review of "Gatz," a 7-hour performance, by the Elevator Repair Service, of F. Scott Fitzgerald's "The Great Gatsby." Reviewer Charles McGrath says, "And what goes on in your head, in a way, is the real subject of 'Gatz,' which is not, strictly speaking, a staged reading of 'The Great Gatsby,' even though every one of the book's 47,000 words is pronounced onstage. Neither is it a dramatic adaptation of Fitzgerald's novel. It's more a dramatization of the act of reading itself -- of what happens when you immerse yourself in a book." The first character on stage, a man in an office reading aloud from "Gatsby," is later joined by other people coming through the office -- a janitor, a co-worker reading a magazine, the office tech guy -- who start to take on the book's characters and act out scenes. McGrath continues, "This, or something like it, is what happens when you get caught up in a book. You hear it in your head, and it takes over your waking existence a little, so you can't wait to be done with whatever you're doing an immerse yourself in the pages again." I love that notion -- a dramatization of reading. It almost makes me want to go see the show. But I may just content myself with the review, and think more about the drama of reading when I get back to the book now on my bedside table. 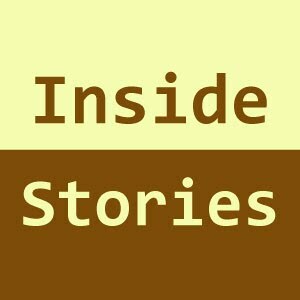 STUFF STORIES: A website called "Tales of Things" that allows users to tell upload photographs and stories of whatever object they desire. Here's how the site describes itself. "Wouldn't it be great to link any object directly to a 'video memory' or an article of text describing its history or background? Tales of Things allows just that with a quick and easy way to link any media to any object via small printable tags known as QR codes. How about tagging a building, your old antique clock or perhaps that object you're about to put on eBay?" Many of the objects on the site are fairly new, some are older, like this 1963 portable reel-to-reel tape recorder. Most of the "stories" I read are just a couple sentences, more like descriptions than anything else, and for that reason I was less interested in the content of the stories as I was in the memories and stories they evoked in me. MICHAEL CUNNINGHAM ON TRANSLATION AND AUDIENCE: Michael Cunningham, author of "The Hours," has a fantastic essay called in the New York Times called "Found in Translation." He says that any novel is a translation first from ideas and images in the author's mind into written words on the page. The published book is usually a disappointment as compared to the "cathedral of fire" that the author had in his/her imagination, writes Cunningham. When a book such as his Pulitzer-winning "The Hours" is translated into another language, that is only a next step in the translation process -- a translation of a translation. Later he talks about his imagined audience. "I should admit that when I was as young as my students are now, I too thought of myself as writing either for myself, for some ghostly ideal reader, or, at my most grandiose moments, for future generations. My work suffered as a result." Things started to turn around only when he started thinking of a more specific audience. And that audience's name was Helen, a voracious reader and a hostess at a restaurant he frequented. "I began to think of myself as trying to write a book that would matter to Helen. And, I have to tell you, it changed my writing. I’d seen, rather suddenly, that writing is not only an exercise in self-expression, it is also, more important, a gift we as writers are trying to give to readers. Writing a book for Helen, or for someone like Helen, is a manageable goal. It also helped me to realize that the reader represents the final step in a book’s life of translation. One of the more remarkable aspects of writing and publishing is that no two readers ever read the same book. ... Writing ... does not exist without an active, consenting reader."